WordPress is an open-source content management system (CMS) based on PHP and MySQL, which you can use to create a beautiful website, blog, or app. It's a free and useful state-of-the-art semantic personal publishing platform with a focus on aesthetics, web standards, and usability. The core software is built by hundreds of community volunteers, and there are thousands of plugins and themes available to transform your site into almost anything you can imagine. Over 60 million people have chosen this CMS to power the place on the web they call “home”. 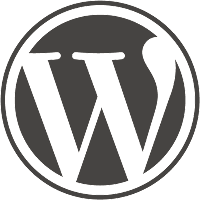 WordPress cms was initially developed as a blogging platform in 2003. But it has evolved to be used as a full-fledged popular content management system (CMS) which is capable of hosting static and dynamic content, e-commerce, event calendars, and audio and video podcasts and much more. Disclaimer: Direct downloads for the lastest version of WordPress 5.1.1 are provided by the official software's author, we can't guarantee safety, availability or download speed. Moreover, we don't and we won't provide any pirated/illegal versions or tools. We recommend you to avoid it as these methods can harm your device. If you like the software, buy it to support the developers. (We provide software discounts for many worldwide brands).